Save the wonderful land of countless islands from the merciless forces of nature. If you like this free game, try Royal Envoy 2. Construct and upgrade homes and buildings for the island citizens and become the chief city planner of marvelous Islandshire. Think your way to triumph in this challenging and mesmerizing game of pirates, treasure and hot-air balloon adventures! Don't lose a chance to experience all of the exclusive Collector's Edition extras: Take a peek at the authentic artwork, learn how the characters were created, enjoy the original soundtracks or get the magnificent wallpapers that will turn your desktop into a magical kingdom! Download free full version game today and take the King's challenge! 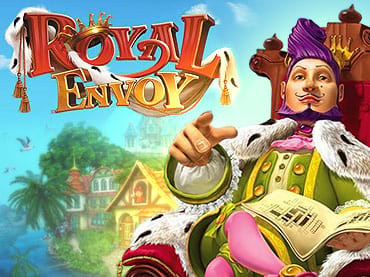 If you have questions about Royal Envoy game, please contact us using this form.